These are a few of the items available to SBA members through our online Membership Sales page. These items are for sale by the membership to members only, allowing SBA members to sell on those no longer required bonsai items. You can join the SBA to take advantage of these and other member offers. Simply join online now at the bottom of this page. Members can click here to view all sales items. Unusual European Larch recently styled by Corin Tomlinson . Height is 19 inches and the nebari is at least 4 inches (excluding the root spread). 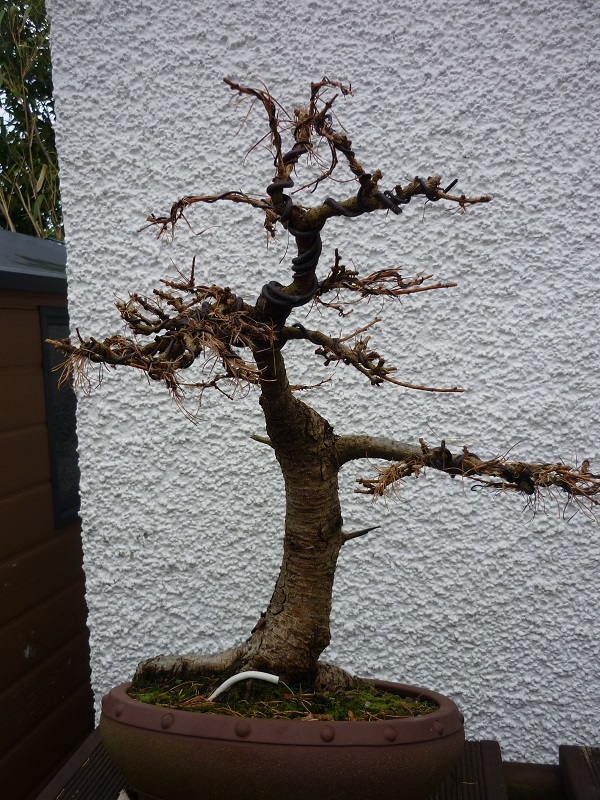 This is a substantial tree with rugged bark and has been in its really nice round Chinese ceramic pot for the last 3 years. The picture isn't great but I can supply more shots if anyone is interested. 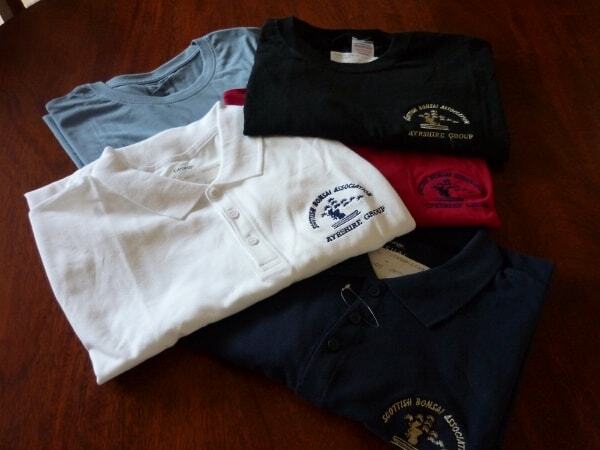 Polo shirts (£9)and T shirts (£6) available in a number of colours complete with SBA logo. Your club name can also be embroidered underneath if you wish. Send your order including size, colour and which (if any) club logo you wish to be added. Shirts will be sent to via your Convener. 500g rolls of aluminium wire in the following sizes: 1.0mm 1.5mm 2.0mm 2.5mm 3.0mm 3.5mm 4.0mm 5.0mm ALL proceeds go to the National Collection for maintenance and towards the potential purchase of a poly tunnel to allow working all the year round. Sales money goes to a great cause. 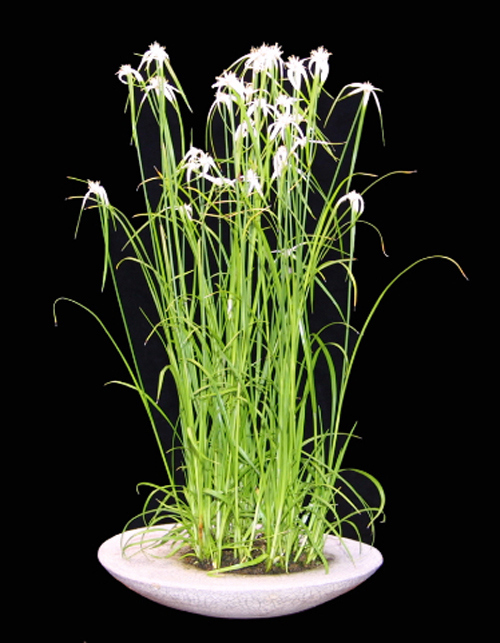 Email me with requirements - can get sent to monthly convenor meetings for your convenor to pick up, but will also have on sale at national Exhibition, Gardening Scotland and West Lothian Club nights. Can also be collected from my home in West Calder.Don't leave it till your last 6 inches of wire - check out your stock and order now. A unique opportunity to own a priceless piece of natural slate stone. 37 inches wide by 37 inches tall and 3/8ths of an inch thick at the thinnest point. Tremendously strong for its weight this stone was quarried from Skara Brae on Orkney and has been driven over on my driveway for the past ten years and naturally delaminated due to freezing temperatures. Many more sizes and shapes are available. May also be used as simple display slabs. Buyer collects.